Tattoo parlor owners must be salivating. 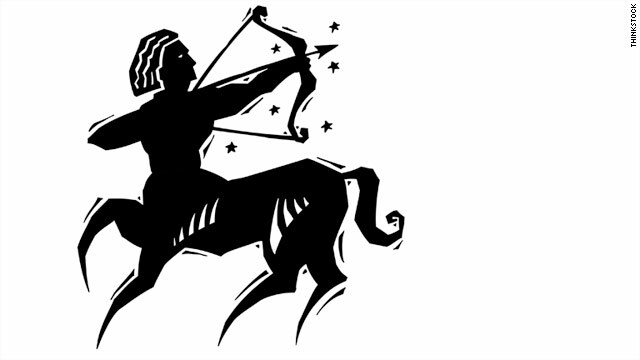 An assertion in a Minneapolis Star Tribune article that our understanding of the zodiac is off by about a month - and that therefore people have been identifying themselves with the wrong sign - caught fire on the internet Thursday, and many folks are in an absolute panic on social media. "If my zodiac symbol has been changed to a Libra, what am I supposed to do with my Scorpio tattoo?!? !," read one tweet Thursday. Some vowed to get their tats removed. Others groaned about losing the sign with which they’ve identified themselves for years. The zodiac and related terms - including Ophiuchus, said to be a 13th and neglected sign - were trending Twitter topics much of Thursday. But before astrology fans scrape the ink from their arms because they think they're now a Virgo instead of a Libra, they should consider this: If they adhered to the tropical zodiac - which, if they're a Westerner, they probably did - absolutely nothing has changed for them. That's worth rephrasing: If you considered yourself a Cancer under the tropical zodiac last week, you're still a Cancer under the same zodiac this week. That's because the tropical zodiac - which is fixed to seasons, and which Western astrology adheres to - differs from the sidereal zodiac - which is fixed to constellations and is followed more in the East, and is the type of zodiac to which the Star Tribune article ultimately refers. Two zodiacs. That's nothing new. "This story is born periodically as if someone has discovered some truth. It's not news," said Jeff Jawer, astrologer with Tarot.com. The hubbub started with Sunday's Star Tribune article, which said the following: "The ancient Babylonians based zodiac signs on the constellation the sun was 'in' on the day a person was born. During the ensuing millenniums, the moon’s gravitational pull has made the Earth 'wobble' around its axis, creating about a one-month bump in the stars' alignment." "When [astrologers] say that the sun is in Pisces, it’s really not in Pisces," Parke Kunkle, a board member of the Minnesota Planetarium Society, told the Star Tribune. "Indeed," the article continued, "most horoscope readers who consider themselves Pisces are actually Aquarians." The article also asserts Scorpio's window lasts only seven days, and that a 13th constellation, Ophiuchus, used to be counted between Scorpio and Sagittarius but was discarded by the Babylonians because they wanted 12 signs per year. True enough, Jawer says, the sun doesn't align with constellations at the same time of year that it did millennia ago. But that’s irrelevant for the tropical zodiac, codified for Western astrology by Ptolemy in the second century, he says. In the tropical zodiac, the start of Aries is fixed to one equinox, and Libra the other. "When we look at the astrology used in the Western world, the seasonally based astrology has not changed, was never oriented to the constellations, and stands as … has been stated for two millenniums," Jawer said. People who put stock in astrology can ask whether they should adhere to the tropical zodiac or the sidereal zodiac. Jawer argues for the tropical. "Astrology is geocentric. It relates life on Earth to the Earth’s environment, and seasons are the most dramatic effect, which is why we use the tropical zodiac," he said. but aren't the seasons slowly shifting too? so wouldn't they change either way? :33 < I'm just surpurrised that the Ophiuchus sign is Caliborn's sign, purrhaps that is a coincidence or purrhaps not hehe. If seasons have the most dramatic effect,how would you explain the effect a particular zodiac sign would have have on two persons A & B, where A was born in London (northern hemisphere) and B was born in Wellington (the southern hemisphere). Consider that when it is winter season for A it will be the summer season for B and both are living on the same earth. Theoretically a person living on the equator will not encounter any change in season. Does the sign of the Zodiac of a person change if the person crosses the equator. An explanation is desired and requested from an astrologer of repute. Dear retiree, do not write your comment in your name box. After you put your name in, move your your mouse cursor to the larger box, and you will be fine on here. Smiley face here. 99% Person who answered on this video was joiend on exacrtly the same day and all come from Philipines. I say all because i suspect that one person open tens accounts to populare their site. Beware of this video, their site or whatever is. This may be dangerous, you can get some malware, virus or so. You are warned!!! I hope You morons now have seen that Science and fact plus the Stars say You're a different sign THAT YOU DROP THIS NONSENSE. If You had any respect for Your own life You make it for Yourself. I like my sign the way it is. I am a Aquarius not no Capricorn(no offense to you guys but am sure u carry the same sentiment for the Sagg sign). Isn't this only applied to ppl born after a certain year. I recall researching this topic whn it came up yrs ago. And discovered i was safe so to speak.